The Singleton Strikers Senior teams kicked off season 2017 last Saturday with away games against pre-season favourites Belmont Swansea. 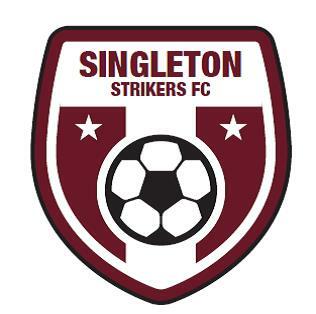 A great team effort has given the Singleton Strikers Under 15’s the ideal start to the 2017 season. The game started with the temperature hovering around the 32 degree mark, but you would not have known as the game was played at a hectic pace with Singleton dominating both the possession and the creation of scoring opportunities, unfortunately they did take these early scoring opportunities. It was a fine strike by Cameron Neal from just outside the penalty box in the 17th minute that opened the scoring; Singleton continued to dominate possession and the few attacks by Belmont Swansea were easily contained by Singleton’s defence. Just before halftime a cross from the right found Josh Piebenga in the opponent’s penalty box and he took the opportunity with a well-placed shot that gave the Belmont Swansea keeper no chance. The second half followed a similar pattern to the first half with Singleton having the upper hand and adding a further two goals that were scored with well-placed shots by Lachlan Bentley and Peter Brown with the final score being Singleton 4 Belmont Swansea 0. The Betts Bower U17 squad received a first up lesson against a very slick Belswans squad who quickly asserted their authority and took a 3 goal lead into the half time break. Singleton were better in the second period, but were still found lacking when it came to execution of the fundamentals – passing, and ball control. Two further Belswans goals cemented a 5-0 win for the home side. Harry Smith was voted Singleton’s best for a tireless display in a well beaten team. The Viatek U19’s put on a stellar display to outclass their opponents in all aspects of the game except the most important one…..scoring goals. Clearly the dominant side, Singleton should have had 3 goals before half time with Jeremy Wilde and Hamish Mayled squandering gilt-edged chances to give Singleton the lead. The second period was much the same, although Belswans were not without their chances and Singleton had custodian Brad Fairclough to thank for two excellent saves that kept them in the match. But in the final analysis it was a 0-0 draw that felt like 3 points dropped for Singleton. The Players points were shared amongst the team with Fairclough, Wilde, and Callan Stubbs all featuring prominently. The U23’s were also very unlucky not to record a result in their game. A makeshift team including no less than 3 guys backing up from 19’s were scrambling against their opponents, but managed to keep them to just one well taken goal at the break. But the second half was a different story…..Belswans struggled to get out of their half, and Singleton applied the pressure. Twice the Strikers struck the frame of the wood work, and the crowd lost count of the goal mouth scrambles and desperate last ditch tackles that saved Belswans’ slender lead. Definitely, 3 points dropped for the Strikers, but the effort shown cannot be questioned. 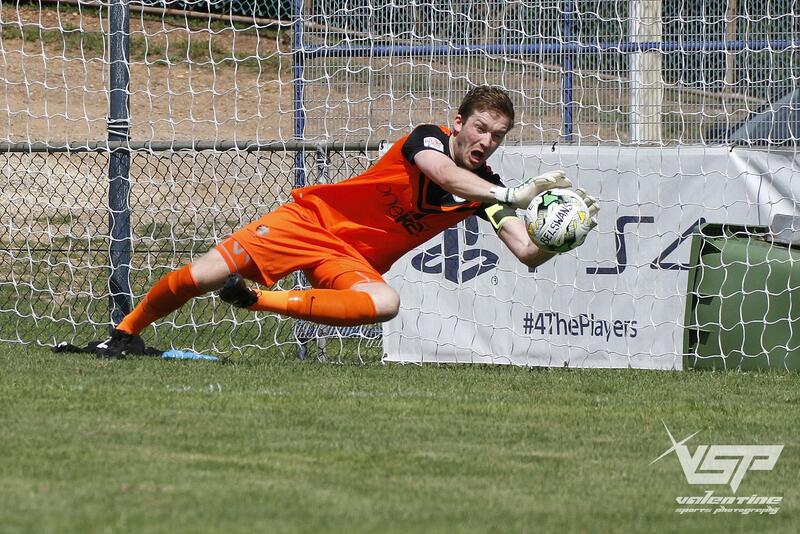 Again, there was a spread of votes, but Brad Cox emerged as players player for another whole hearted performance. 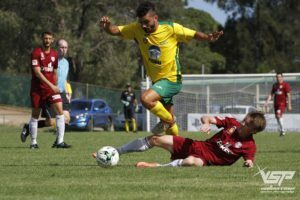 The Onekey Resources First Grade side also had a very makeshift feel to it, and a very young team took to the field for the First game of season 2017. This inexperience showed early when two defensive lapses……the second a dreadful mix up at a set piece – gifted Belswans an early 2 goal lead that Singleton struggled to come back from. Singleton improved in the second half, without really ever testing the strong Belswans defense. A late 3rd goal for the home side secured a comfortable win for Belmont Swansea, and left coach David Willoughby plenty to ponder before next week’s games at Cessnock.